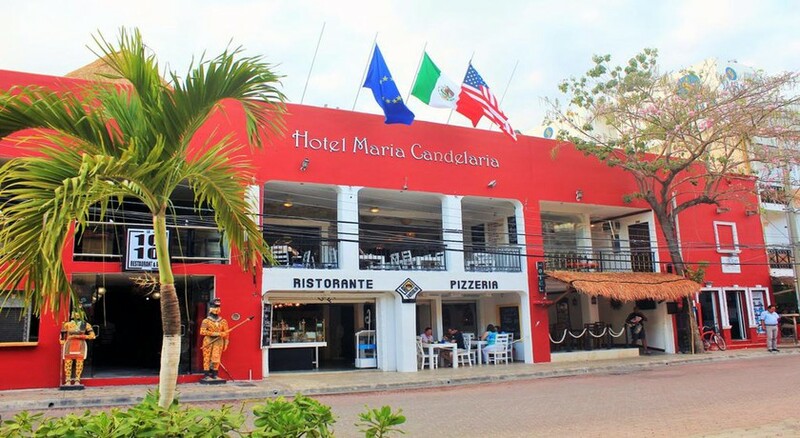 Showcasing its Mexican heritage, the Hotel Maria Candelaria is a comfortable three-star hotel sitting in the heart of Playa del Carmen. It is just a few blocks away from Fifth Avenue’s pulsating night life. Moreover, it is right opposite the Coco Bongo night club! 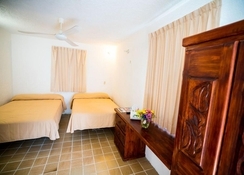 The Hotel Maria Candelaria is the ideal place to stay if you are looking for comfortable accommodation with good facilities at cost effective prices. Beach lovers will also have a nice time here, as the Caribbean Sea is just a few metres away. There is a 24-hour dining area, where you can enjoy breakfast, lunch, snacks and dinner. Other than this, there is an outdoor swimming pool open throughout the year. 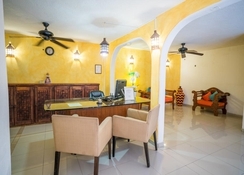 The Hotel Maria Candelaria is ideally located in Playa del Carmen, making it convenient for tourists, shoppers and beach lovers alike. It is just 500 metres away from the Church of Our Lady of Carmen and just a few steps away from the Caribbean Sea. The famous pedestrian zone of Fifth Avenue and the bus terminal are also nearby. Couples have really liked the location of the hotel, as they have rated it high for a two-person trip. The Cancun International Airport is about 55km from the hotel. 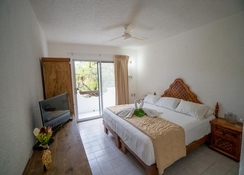 Whether you are travelling single, as a couple, with family or with a group of friends, you will find a suitable accommodation here at Hotel Maria Candelaria. The rooms here fall in three categories namely Estandar, Balcón, and Superior. 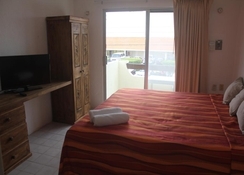 All the rooms have all the necessary amenities like plasma screen TV, bathrobes, complementary toiletries, air conditioning, mini bar, safe, free Wi-Fi, balcony and much more. The hotel provides in-room service through the day, which will make your stay even more comfortable. The hotel offers a 24-hour dining facility, where you can have breakfast, lunch, snacks, tea and dinner. 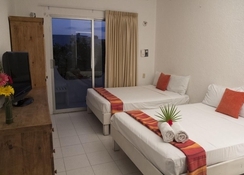 The hotel serves Mexican food and local sea foods at pocket-friendly prices. There are many restaurants near the hotel, where you can explore Argentinian, South American, Colombian, Cuban, Latin, Mediterranean, Spanish, Italian and Mexican cuisines. The staff members here are professional and friendly, they often suggest and recommend the best food combinations. When it comes to sports and leisure facilities, the Hotel Maria Candelaria offers an outdoor swimming pool surrounded by sundecks. Additionally, there's a beach club, where you can indulge in various activities, or hit the lounge area for movies, entertainment and other activities.